Manage your all SMS marketing campaigns under our user-interface account and get analyze your campaigns success reports. We have launched "Smart Routing" feature in our SMPP interface, where you can set a combination of two different routes so that your SMS get delivered without any failure. We provide multiple telecom operator connectivity under single route so that in some cases you can switch your traffic to other operator. 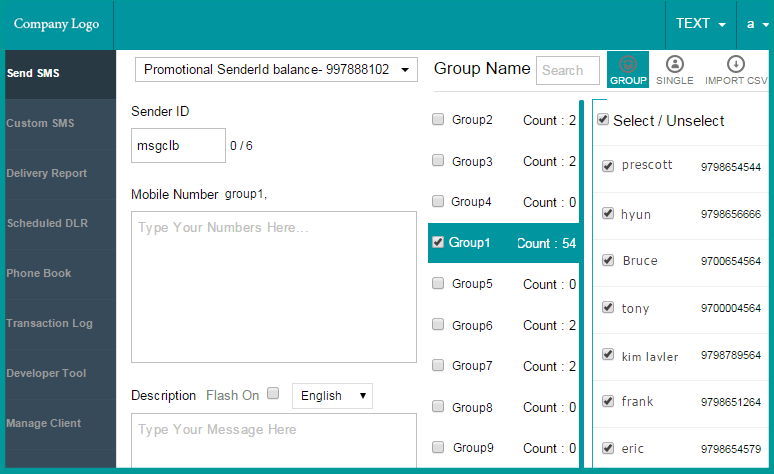 Get every details of your sent campaign on our User panel delivery report option. 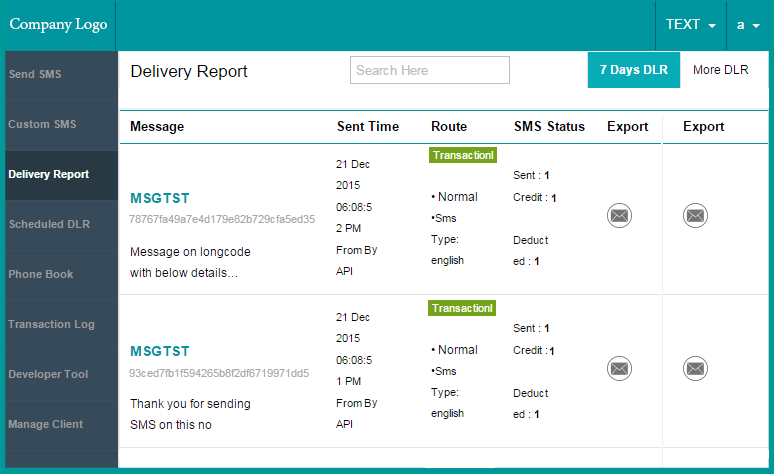 Check real-time status whether your SMS gets sent, delivered or failed. We provide you each and every detail of your SMS on our platform. However, if you wish to export delivery report into your system just press a button and download it. To begin the process of SMS marketing, create your Phonebook in easy steps on our SMPP user interface. 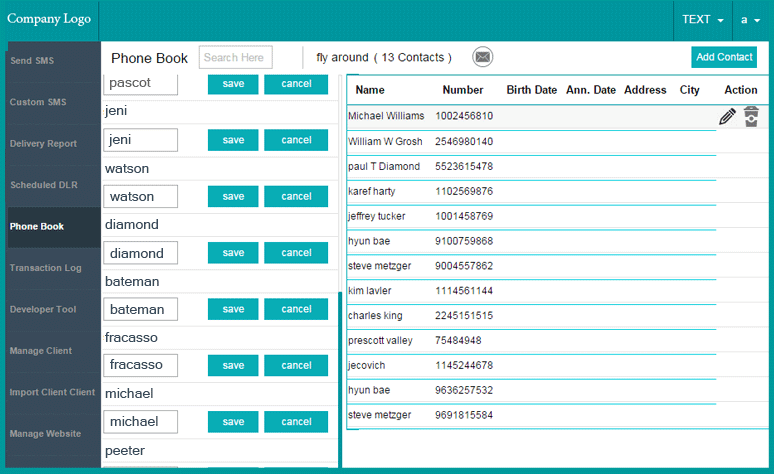 Our Phonebook is just like the way you save contacts in your cell phone. We have given wide choices to upload your contacts that is comfortable, easy and safe. Add contacts Manually, Import in Groups and Import in multiple Groups. 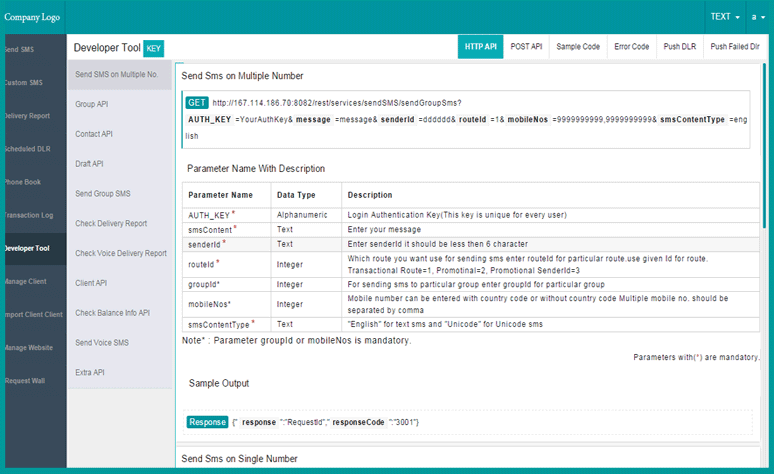 We provide you different bulk SMS APIs in our developer tool with free sample codes. A developer can get HTTP, POST or XML API for software/website integration. Usually our SMS API allows you to: Send SMS in a number of formats, receive text messages, faster SMS Delivery and get real time status reports for all texts. 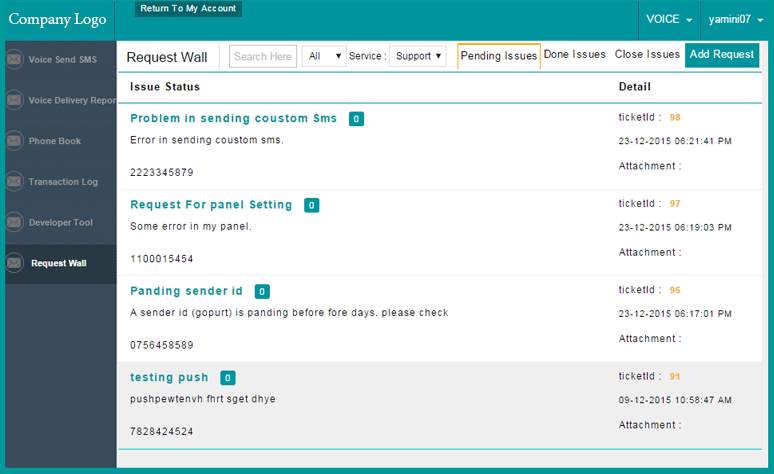 Get to know about your clients issues, their pending status and solve them quickly in our request wall. If a user want to add a request for their query they can generate a ticket right from their screen, our customer support team executives will directly contact them.